Held Friday 6th October 2017. 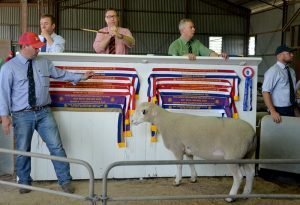 These two Allendale Suffolk stud rams topped the Allendale stud offering at $9000 each. 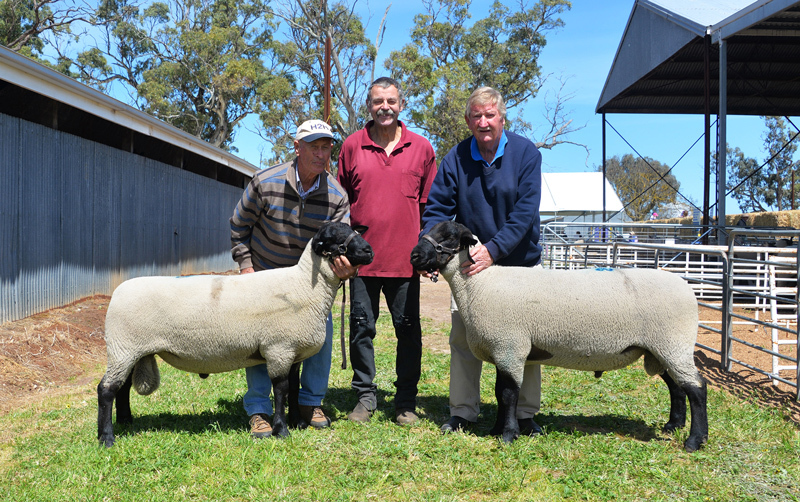 With them are Graham Day, holding the ram purchased by Allan Gum (centre), Lowen Hills stud, Lameroo, while Naracoorte stud advisor Leigh Allan holds the ram he purchased for Brett and Amanda Shepherd, Mullinger Park, Kybybolite. 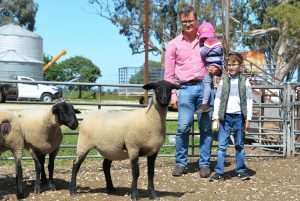 James Cleland and his children Isla and Hamish are with the Allendale Suffolk ewes he purchased at the sale’s top price of $2500. Buying through Rodwells Horsham, James purchased 18 Suffolk ewes for his expanding Suffolk stud. Alastair Day controls the ring as his Poll Dorset ram A160217 is sold for the $4000 equal top price in this draft by Elders auctioneer Ross Milne.